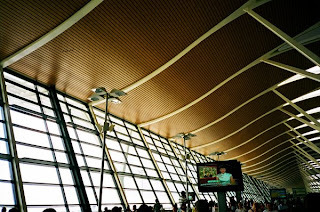 New T2 of Pudong Airport opened for quite a while, large, really large. Moreover, it looks like .... HK Airport, really a bit disappointed. Make sure you go to the right terminal or otherwise it takes you at least 15-20mins back to another one.